Kontakt 5.8.0 is required to use the Kontakt 5 instrument patches in the KLI version of this product. This product does not work with the free Kontakt Player. 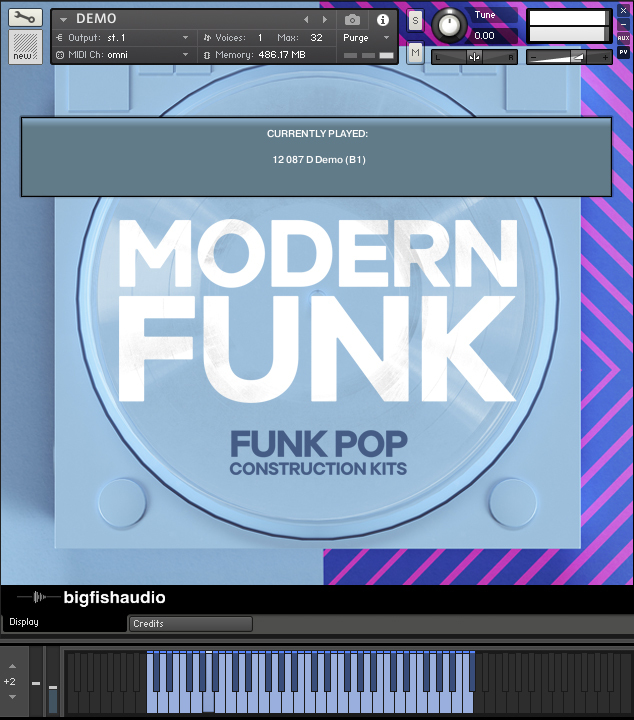 Big Fish Audio is proud to bring you Modern Funk: Funk-Pop Construction Kits! Inspired by artists such as Mark Ronson, Bruno Mars, and Pharrell Williams, these 50 kits will provide the perfect amount of Funk influence for your next Pop production. 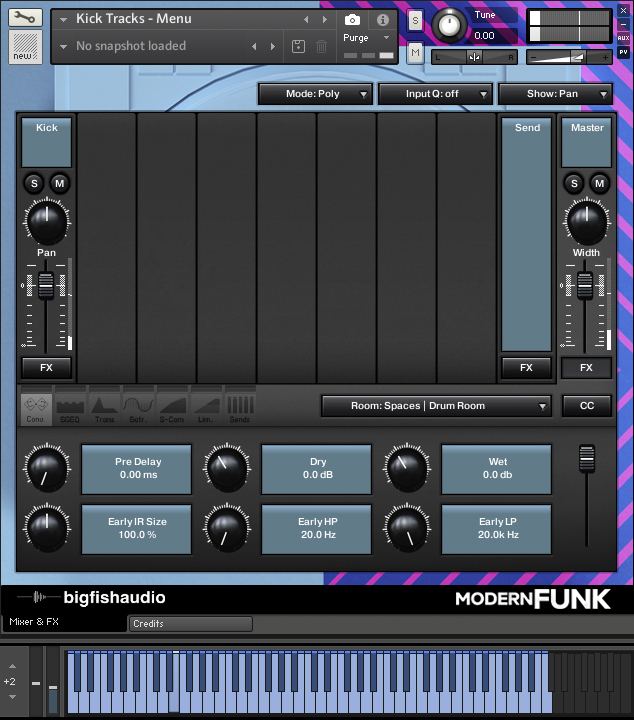 With just over 6GB of content you’ll find plenty of grooving basslines, drum beats, upbeat synths, funky guitars, and keyboards. 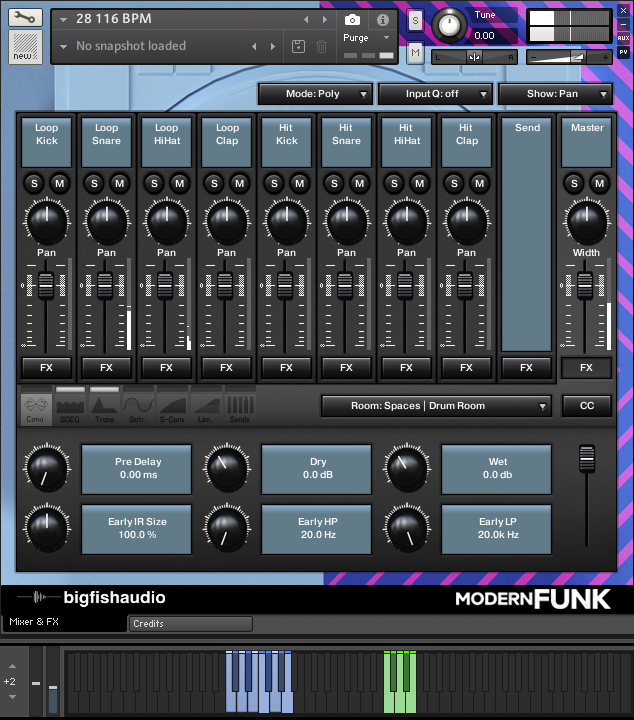 Modern Funk is just the spark you need to get your Pop creativity flowing! Also included are MIDI files for most of the melodic elements as well as dry versions of any of the heavily effected elements so you have full control over the sound of these kits. 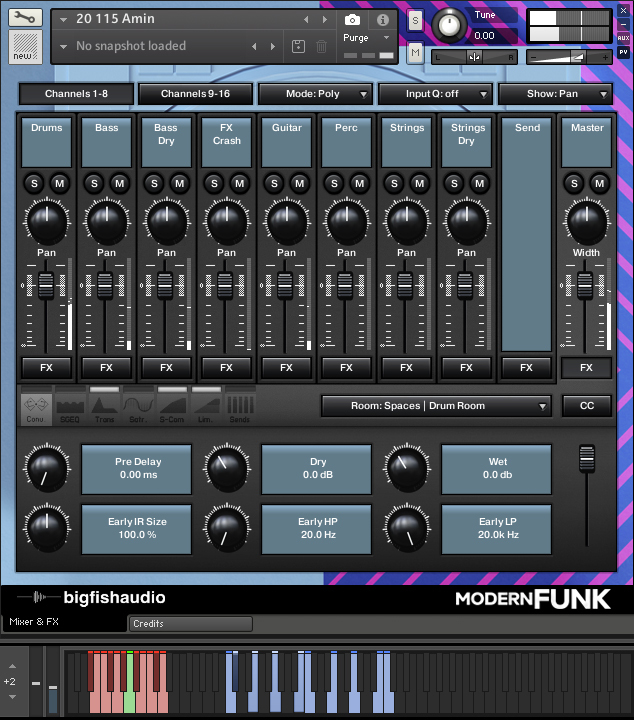 Modern Funk: Funk-Pop Construction Kits has been formatted in all the industry standard file types: Apple Loops, Acidized WAV and REX. Every piece of commonly used hardware and software will be compatible with at least one of these fully developed and usable formats. Each audio file has been expertly cut and edited to loop perfectly, and has been recorded in the highest quality 24-bit rate to ensure absolutely top quality end results. 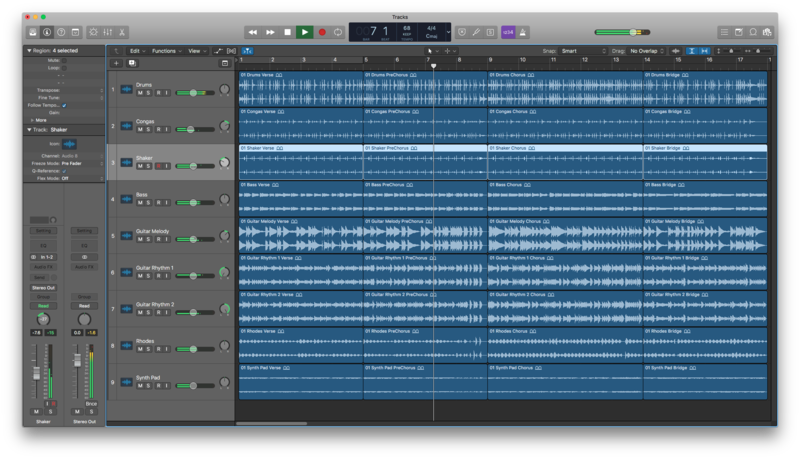 If you work primarily with Apple products, be sure to utilize the extra loop tagging functionality in Garageband and Apple Logic as well as Apple's proprietary time stretching and pitch bending algorithms. If you're working inside Protools, Cubase, Fruity Loops, Ableton Live, Sony ACID, or any other DAW on the market, the Acidized WAV files are the perfect fit for time stretching and pitch bending capabilities. The Acidized WAV files can also be used as standard WAV files in almost any music tool in production today. 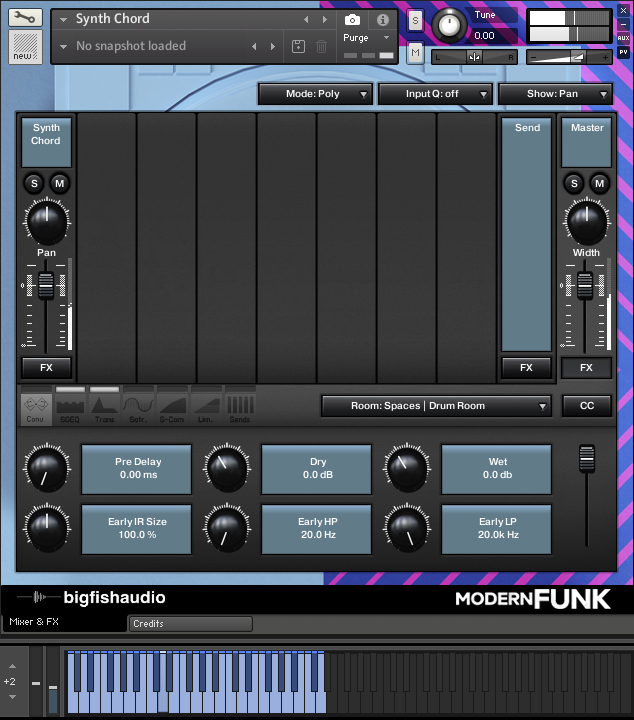 Beat-makers and artists who love sampled melodic slices can take advantage of our REX/RMX format that utilizes all the powerful programming found in Stylus RMX and the Dr. Octo REX player in Propellerheads Reason. The KLI 3.0 Series allows you to quickly arrange and mix tracks in our Kit Combo Patches and make completely original drum tracks with our custom drum patches that include both multi-track drum loops and one-shot samples. Libraries in the KLI Series (Kontakt Loop Interface) include a custom interface for tweaking loops and sounds beyond what was previously possible. Each loop is given its own patch, and can be extensively edited by manipulating the various slices of the loop. In addition, groups of loops that play together have been given their own patch as well, making it easy to quickly arrange and mix loops on the fly. Each patch will automatically sync with your DAW's host tempo, making integration with your production seamless. Kit Combos - Each patch contains all the loops from the main body of the track to create quick and easy arrangements. Modulation Keys are located in the C0-C1 octave range, loops start at C2 on the keyboard. 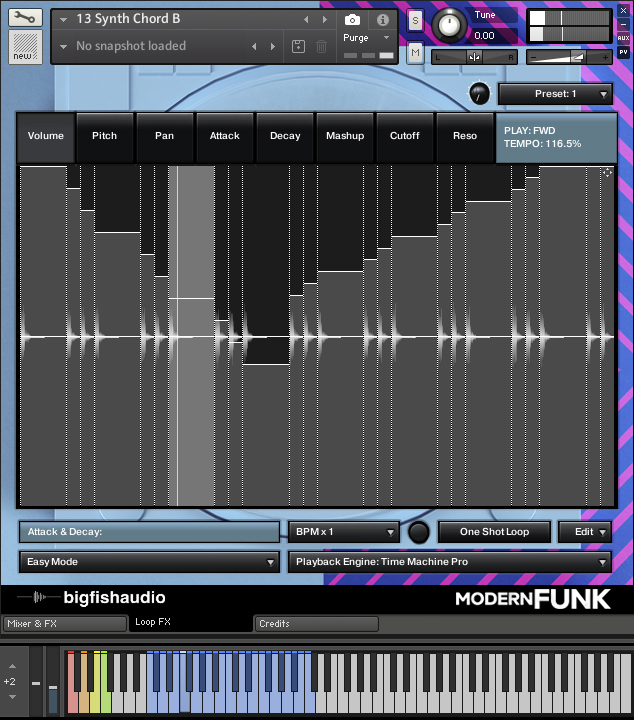 Sliced Loops - Each loop from the product has been given its own patch and can be edited extensively using the "loop fx” interface. The full loop can be triggered at C0. The loop can be played backward at D0. Individual slices start at C1 on the keyboard. Drum Kits - These patches include all multi-track drum loops (starting on C2) and all drum hits (starting at C4) of a particular kit giving you complete access to customize your drum tracks. Drum Menus - These patches include all single hit drum samples and loops divided by kit piece (starting on C0) giving you complete access to create your own custom drum parts, and easily demo different samples in a pre-set midi pattern. For example, the patch titled “Kick Tracks - Menu” will have all the Kick loops laid out on the keyboard for easy demoing. FX Suite - Each patch includes a suite of group-assignable FX to shape the sound and processing of the sample groups individually utilizing the powerful Kontakt audio BUS system. • You must have a FULL version of Kontakt 5.8.0 to use the KLI format of this product. 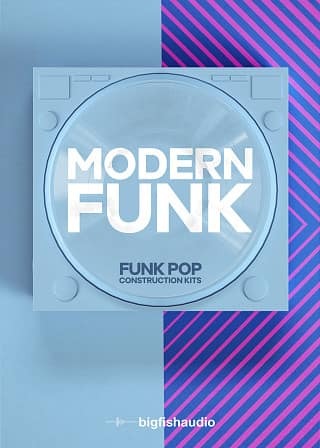 The Following End User License Agreement is included with Modern Funk: Funk-Pop Construction Kits. This License is only valid for the individual who has purchased an unopened, new and lawfully made copy of Modern Funk: Funk-Pop Construction Kits from a dealer or distributor authorized by Big Fish Audio.